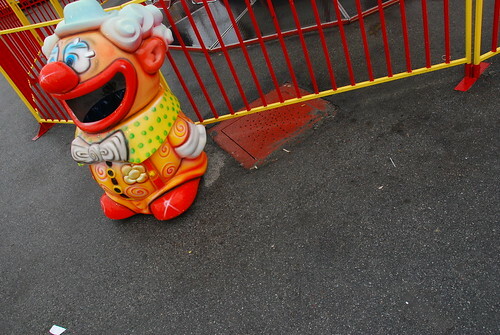 Wouldn’t it be great to win the contract to provide the trash cans to a major amusement park? Think about it, you can’t walk 5 feet without passing another receptacle. I would guess there are an average of 5 trashcans per 50 square feet of accessible park. I had a chance over the last week to sample SIRIUS satellite radio. I was not that impressed and have one major complaint (imagine that). Whenever the car drove under an overpass or through an area with a fair amount of tree coverage, the satellite reception was lost and the radio went quiet. You would think SIRIUS would utilize some type of progressive load of the song so that short interruptions in connection wouldn’t cause an outage. By playing a song maybe 5 or 10 seconds behind the actual stream, there would be a buffer of already loaded song to continue playing while the satellite connection is reestablished. Tired of a select few “super-users” of Facebook always cluttering up your News Feed? Well, Facebook is giving you the option to limit the amount of vampire bites and political posts you have to see from those users who are overly active on the social site. All you have to do is tell Facebook you want to see less of this person by clicking the options button. Goodbye annoying over-posters. I was watching the Olympics last night and found myself wondering, where did the pommel horse event come from? It’s not like archery or shooting or fencing or even equestrian, where I could see someone bragging about their skills and challenging someone else to prove them wrong. Really, every gymnastic event other than the floor exercise (“Hey, I beat I can jump and twist and add a little dance in between better than you”???) seems to be arbitrary. I’ve never seen anyone swinging from bars or hanging off some rings in everyday life (other than on American Gladiators). I didn’t do any research on the pummel horse event in particular, but feel free to leave some input. With the popularization of microblogging, aka twittering, aka updating a status on facebook, aka a one line blurb about what you are doing at that very moment, I have to ask the question. When referring to a set of status updates, is the group consider stati or statuses? I know that grammatically, statuses is correct. But it seems like an odd word. I guess it’s like any other word that ends in “us”, like hippopotamus or octopus. Making these words plural sounds odd, but what can you do.